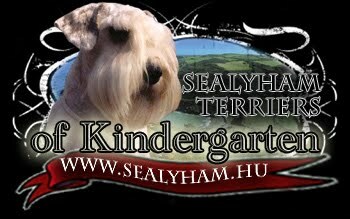 Sealyham Terrier of Kindergarten Bronzkoszorús Mestertenyészet: WDS videó 2013.05.16. Legolas of Kindergarten Junior class: Excellent 4. Aragorn has found a wonderful family!